Shirdi Sai Baba Stories,Leelas and Teachings. : Lord Sai Gave Me Promotion-Experience By Ireni. 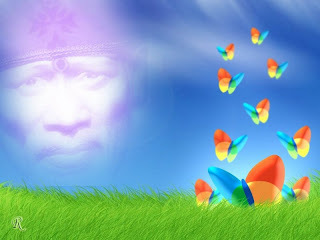 Lord Sai Gave Me Promotion-Experience By Ireni. 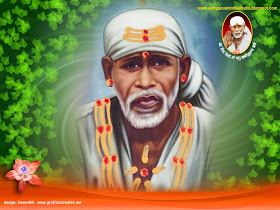 I am sharing Sai leela experienced by Sai devotee Ireni as shared in her mail.Sai Baba always preaches that one should not worry about the fruit of one's toil and one should see favourable and unfavourable things with equal eye.One should do his krarma without worrying about its result. This is very easy to follow if we have full faith in Baba and believe that Baba will take care of the outcome.Jai Sai Ram . I would like to share my experience with all Sai devotees. Kindly upload it in your website whenever you get time. Recently I gave an organizational exam (review through video conferencing) for my promotion which did not go well. I lost all my confidence of passing since last time also I failed. So I was so tensed. Whenever I think of the results, I would request Sai to handle this situation and would feel better. Yesterday I came to know that the results were out, but still not published on the office intranet. All those who have freinds at the Head office could know the results by calling, but I was again nervous to call anyone there. I left office in full tension and once I reached home, I took bath and start reading Sai Satcharitra. Here I would like to mention that I had started reading it when I gave the exam and there had been a gap of time in reading due to some problems. Still I had bookmark the chapter which I had finished reading. Yesterday's chapter was 21st and there I found the word 'promotion' in the chapter. 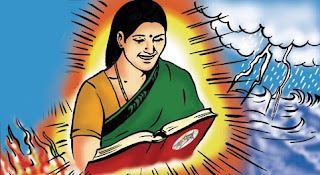 I got the indication and started feeling better, but as soon as I finished reading the chapter from Sai Satcharitra, calls from my colleagues started coming that they have got their promotions and they were asking about me. Again I started to feel tensed and prayed to Sai. I was hoping I will get the news from someone or the other at least by today morning. But no one called. So I came to my office and in the nearby SAI temple I prayed again saying that "today I will not be happy if I get promotion nor will I be sad if I failed, it's upto You only now. If I will get promotion, only You will be giving it since my performance was not good at all." When I reached office I saw the intranet and it was not there, then I was so surprised that I didn't feel sad at all. Next moment, I check my mail and there it was with the subject Congratulations. I could not believe it at all. Now my office timing is getting over and here I'm writing to you. I know by the grace of SAI only I got my promotion and it seems today I have found a new me. My faith and patience have strengthened forever. Thanks my Lord SAI. Please be with me always. Please shower your blessings to all your devotees always.